Riverside Violet Shimmer Gin is hand made in small batches in the heart of Cheshire using only the finest natural ingredients. 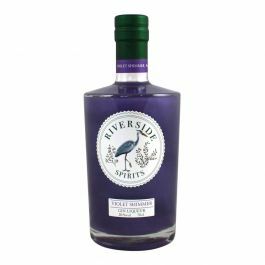 This violet-flavoured liqueur from the Riverside, it combines well when added to a glass of Prosecco, or paired with a tonic. This is a slightly smaller bottle giving you the perfect opportunity to try before upgrading to our 70cl bottle of Riverside Violet Shimmer Gin. Violet Shimmer Gin is intensely infused liqueur with hints of angelica and a touch of spice.